September 14th 2018, SomoS presents Anamnesi, an interactive and controversial performance combining elements of dance-theater, performance art, live music, and visual art, in which the audience is called to participate. The reminiscence, also called Anamnesis from Ancient Greek ἀνάμνησις, (literally, a “lifting up of the mind”) stems from Plato’s philosophy and consists of the idea of the awakening of the inner knowledge rooted in everyone’s spirit that, through reincarnation, has been forgotten from our soul at the moment of birth. This idea of memory and restoration of the soul’s true identity is already crucial for the Egyptian tradition as reflected in the “Book of the Dead” and was later employed and developed by the Pythagoreans and Plato. It describes an unintentional deep awareness that can emerge during the course of one’s life. It is the personal perception of the immortality of one’s own spirit that has chosen to incarnate in the bodily form that characterizes us in the here and now. The effects of this awakening are the achievement of an inner calm, given by the absent fear of dying, and the euphoria, given by an vibrant desire to celebrate life. 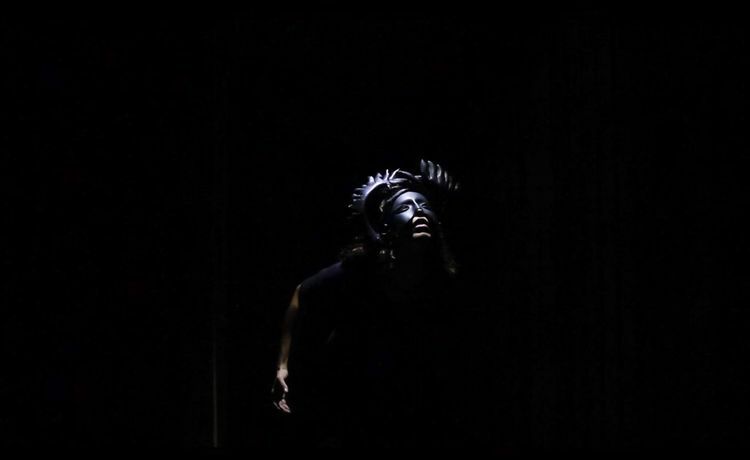 The Anamnesi project is a collaboration between choreographer Marta Antonucci aka Kiraly, musician Eugenio Petrarca, and visual artist T.S. Sanchez. Through the interactive performance the audience’s comfort zone will be abandoned in order to reach a state of anamnesis together with the performers.